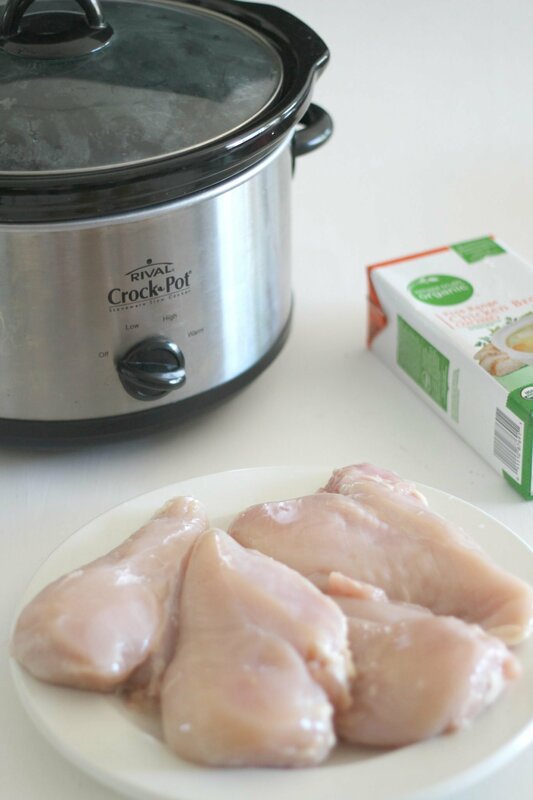 Slow cooker chicken breast is an easy way to meal prep some protein. The chicken breast cooks thoroughly and is never dry. It is easy to shred and eat. Chicken breast is one of my go-to foods. It’s pretty much universal. I mean most people like it, as long as it is flavorful and moist. It can go in a plethora of different dishes, and can be eaten hot or cold. 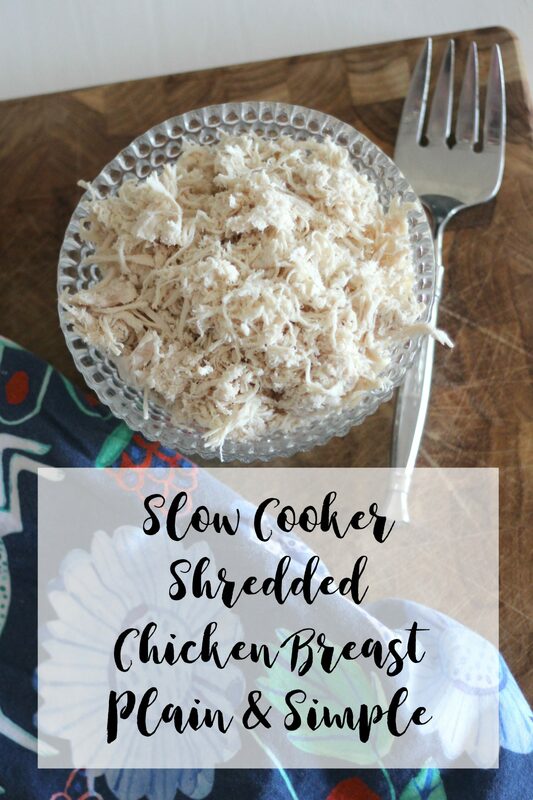 I like to have shredded chicken breast ready to go in the refrigerator, since it is so easy to meal prep at the beginning of the week. 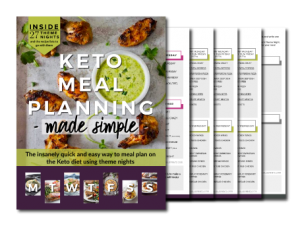 I have two ways of going about cooking my boneless, skinless chicken breasts, either in the oven or in the slow cooker. Each has it’s own pros and cons. The oven is great because it’s way faster and doesn’t use up any precious counter space (my kitchen is pretty small and has limited counter space, as is often a problem with vintage homes.) But the oven heats up the house, which is a problem in Arizona, since I already have the air conditioner running eight months out of the year. Additionally, I have to watch the oven more because it can dry out the chicken if I leave it in just a little too long. I love my slow cooker. The Mr and I bought it when we first moved to Scottsdale and use it regularly. I love that I can put the chicken in and forget about it for 2-3 hours. As long as there is adequate fluid in with the chicken breasts, it always turns out super moist, never dry. 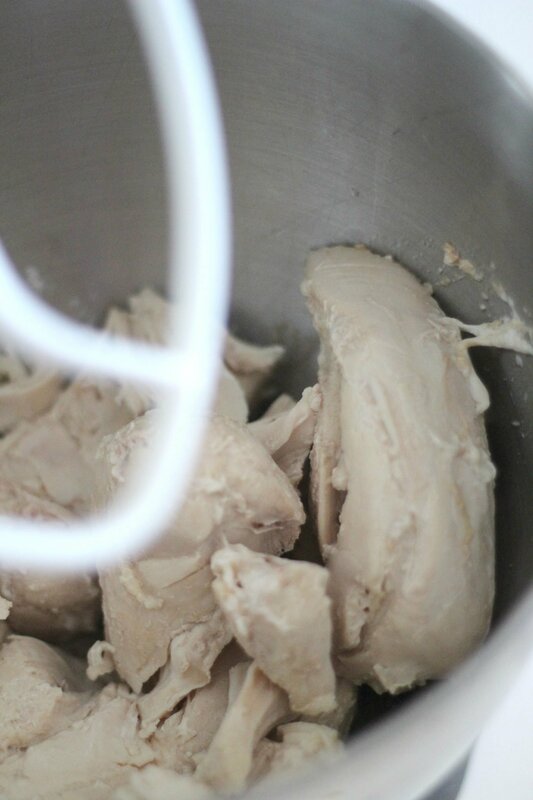 Place four fresh chicken breasts into a slow cooker. Add one cup of chicken broth or water. 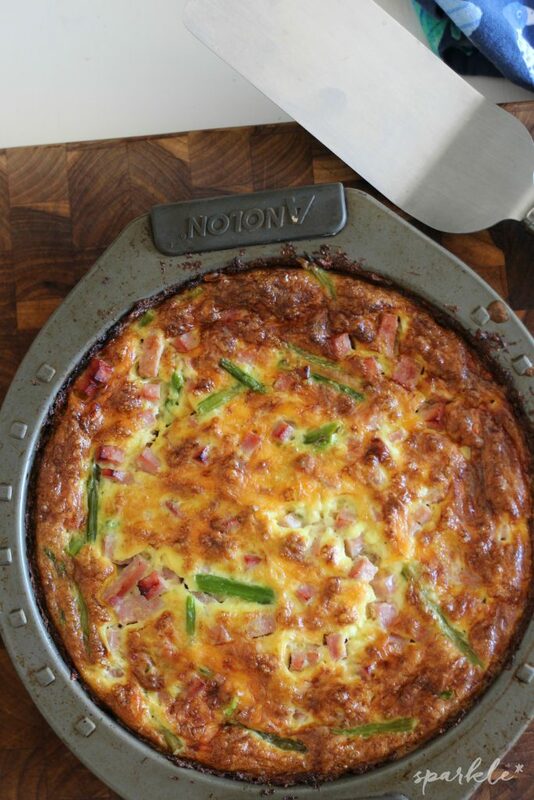 Cook on high for 2 to 3 hours or low for 4 to 5 hours. When the chicken is ready you’ll be able to easily pierce it with a fork and the chicken will fall apart. While the chicken is still hot, it is super easy to shred with two forks. I prefer mine to be very shredded and place the hot chicken in my stand mixer bowl and use the stand mixer with the paddle on medium speed for one minute. 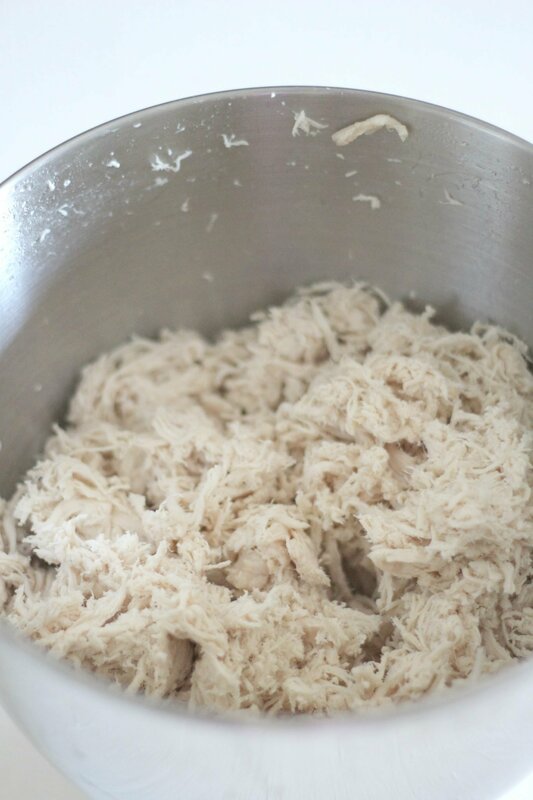 The chicken breast will come out shredded and beautiful. Add a little freshly ground pepper to taste if you prefer, or just leave it as is. 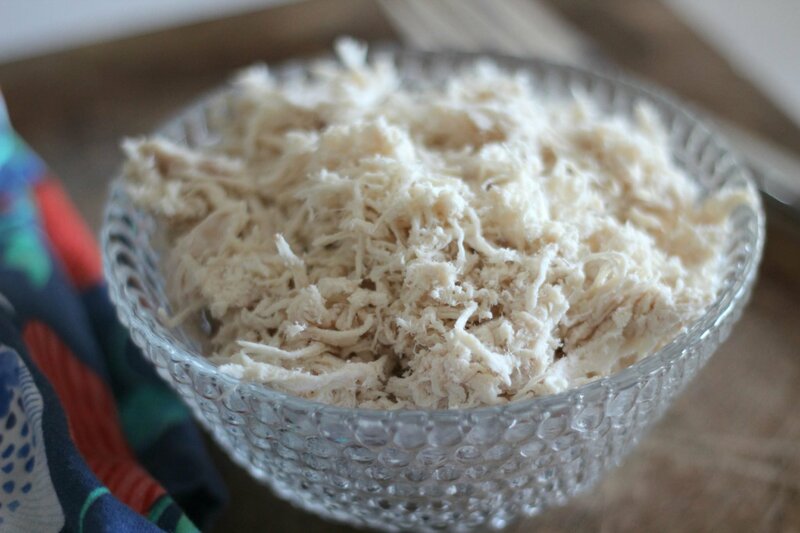 The shredded chicken keeps for about five days in the fridge. This chicken is perfect to throw into casseroles, on top of salads and great for chicken salad or sandwiches. Heck, the kids even eat it plain, right out of the refrigerator. 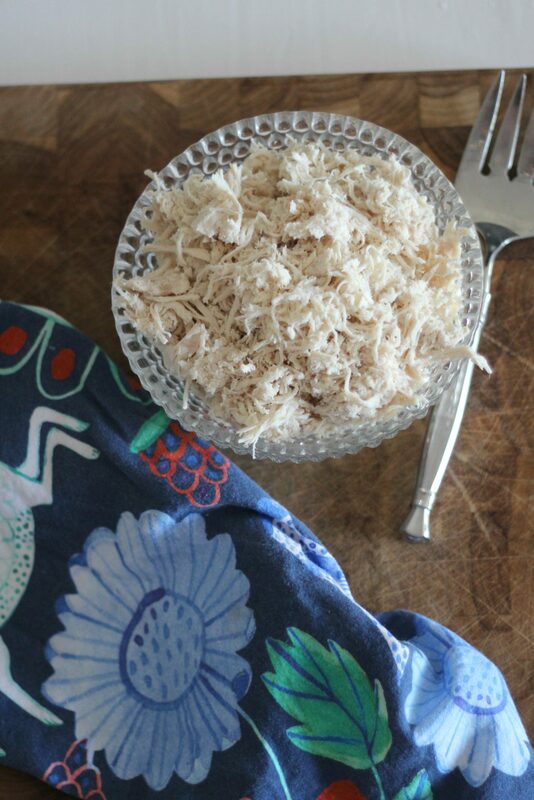 Making the shredded chicken breast ahead of time makes for easy low carb meals during the busy week. Need a quick lunch? Make this Cucumber Basil Chicken Salad with your shredded chicken!